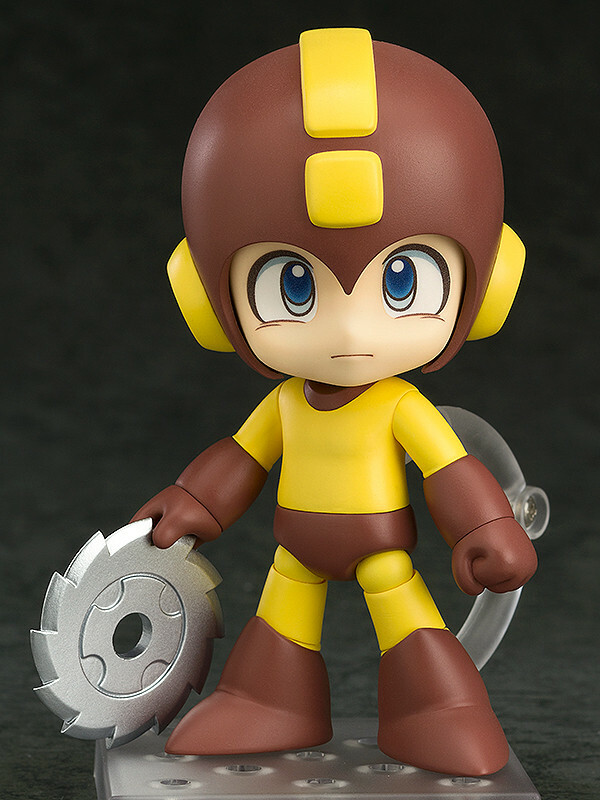 If your wallet hasn't completely given out yet, feast your eyes on the next Mega Man Nendoroid from Good Smile Company: Metal Blade Mega Man! 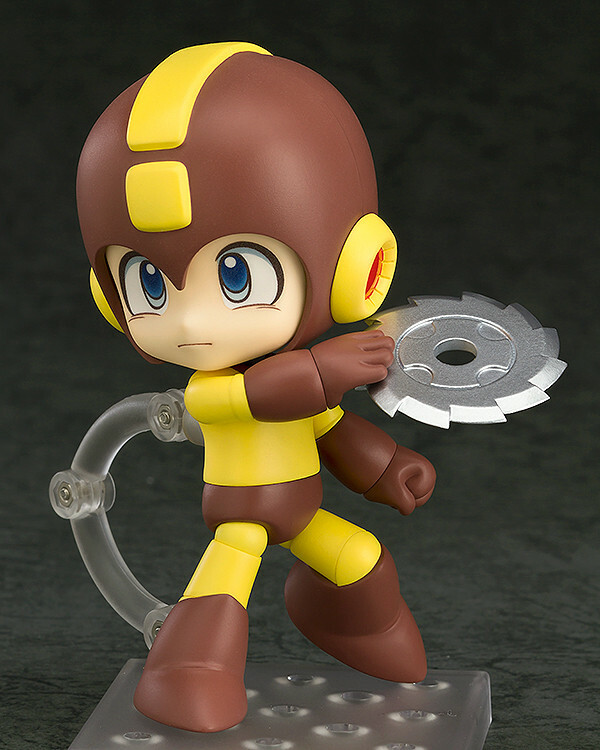 GSC writes: "From the popular 'Mega Man' series comes a Nendoroid of Mega Man once he has defeated Metal Man and taken the 'Metal Blade' power! Optional parts include the powerful 'Metal Blade' special weapon in both a small and large size, allowing you to pose Mega Man both holding the blade at the ready as well as have it flying through the air as if it had just been thrown!" The figure will make its grand debut at Good Smile Co's Anime Expo booth starting Monday, July 4th. It will be sold for 4,444 Yen or roughly $40.48 USD. If you can't make it to Anime Expo, Good Smile says they will sell the figure online at a later date. Additional images and information can be found here. On the one hand, it looks nice. But eh, only color variant I'd want is Air Shooter. But you can't beat air man! "...allowing you to pose Mega Man both holding the blade..."
Too bad no pics of it. Anyways, Nendroid Roll when?? Would have preferred a Bomberman nendoroid, but the Metal Blade looks cool, even if it is a pallet change. A Bomberman Nendoroid would be perfect, It's really lame that it hasn't happened yet. Yes I know that's the point of using a special weapon. I want fire storm megs!